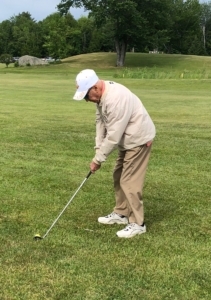 Joe Y. Stroh­man heads to the golf course with his son. 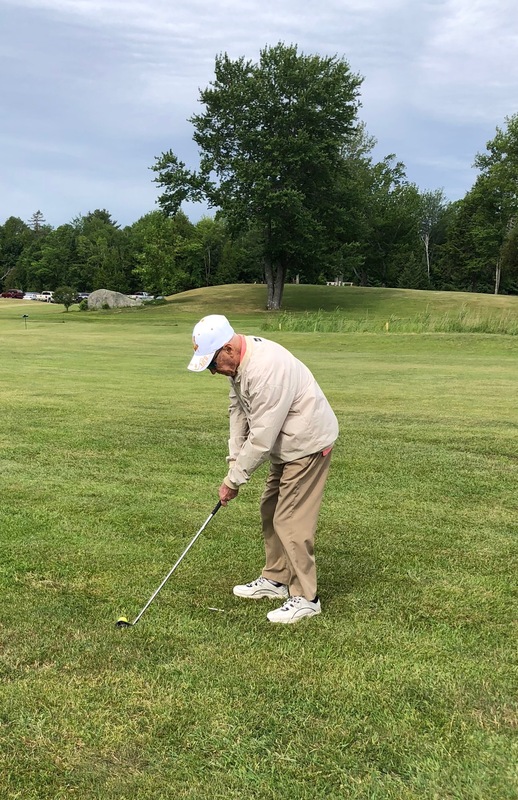 On June 23, the Masonic Central Lodge #45, of China, hosted its annual golf tournament at the Cedar Springs Golf Course, in Albion. 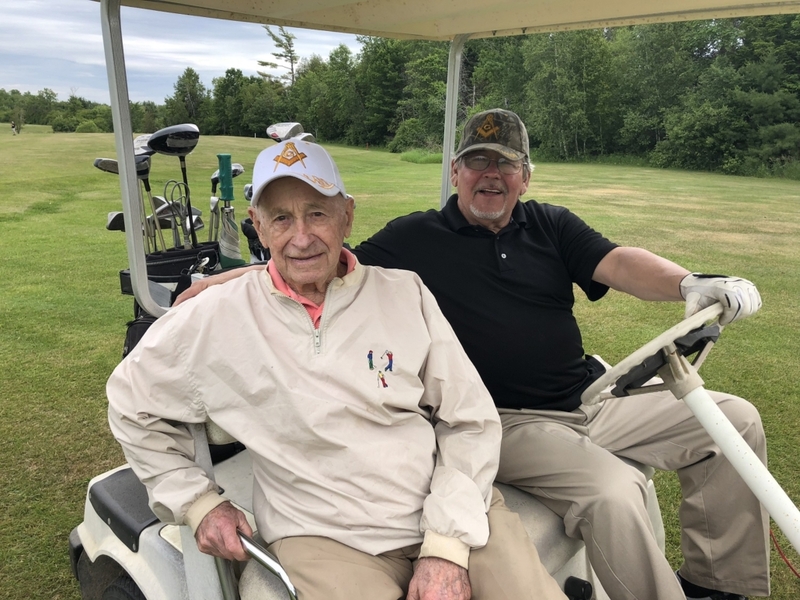 Joseph Y. Strohman, who turned 100 years old in January, was one of the golfers who golfed 18 holes that day. He had also donated a picture of the Pebble Beach Golf Course, in California, that he had painted himself for the live auction. Joseph has been a mason for 62 years. The tournament was very successful thanks to the help of lodge members, families and friends. There were 47 local businesses that provided hole sponsorships to support the event who believe in the cause. Their contributions make it possible for them to continue to support the two Shriners Hospitals for Children in Massachusetts, the Bikes for Books Program, and the Widows Program. It was a fun-filled day with a great group of people coming together for great causes.